Michigan Radio’s Believed podcast has been awarded its first Dart Award from the prestigious Columbia School of Journalism. The Dart Award for Excellence in Coverage of Trauma recognizes outstanding reporting in all media that portrays traumatic events and their aftermath with accuracy, insight and sensitivity while illuminating the effects of violence and tragedy on victims’ lives. Also honored with a Dart Award this year were NOLA.com/The Times Picayune for “The Children of Central City,” a multimedia project that tells the story of children from one neighborhood in New Orleans and the profound impacts of poverty, violence and trauma on their lives. Both winners will be recognized at a public ceremony and winners’ roundtable on May 1 at 5:30pm at Columbia Graduate School of Journalism in New York. 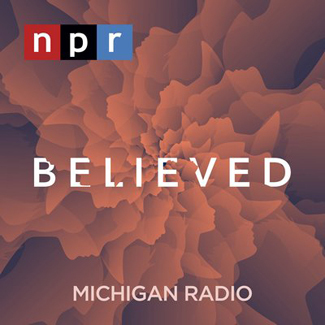 The Believed podcast series from Michigan Radio and NPR provided an intimate look at how a team of female survivors, detectives, and prosecutors won justice in the Larry Nassar sexual abuse scandal. 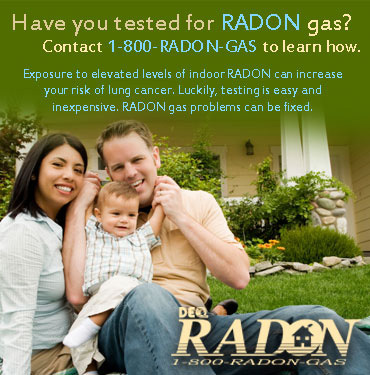 It was developed from the over two years of coverage of the case completed by Michigan Radio reporters. Believed was an exploration of the other side of this national scandal, that of the survivors and their families. 2019 marks the 25th Annual Dart Awards from the Dart Center for Journalism & Trauma. Since 1994 the awards have recognized exemplary journalism on the impact of violence, crime and other traumatic events on individuals, families and communities. The Dart Awards are open to newspaper, magazine, online, radio, television, video and multimedia journalism from North America that goes beyond the ordinary in reporting on trauma. 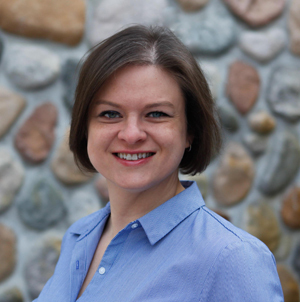 Interlochen Public Radio is proud to announce that Amanda Sewell will step into the role of Music Director, leading the growth and development of Interlochen Center for the Arts’ unique music service, Classical IPR. Amanda is a musicologist who received her Ph.D. from the Indiana University Jacobs School of Music. She became involved with Interlochen in 2015 writing program notes for concerts. She volunteered at IPR helping with the music library and was later hired to host music live on air. “I have found her talents and deep love for music almost a match for her energy and ambition,” says IPR Executive Director Peter Payette. Amanda developed the weekly program “The Interlochen Collection” to showcase the extensive music archive at Interlochen Center for the Arts. In addition to her radio work, she has a book deal with Oxford University Press for a biography about American composer Wendy Carlos. She was recently awarded the Paul Charosh Fellowship from the Society for American Music in recognition of her musicological scholarship. Interlochen operates one of about 66 all-classical radio stations operating in the U.S. It exists to ignite a passion for music, share the wealth of artistry at Interlochen and champion the northern Michigan music community. There will be up to two awards given — one Professional (all professionals including volunteers working in public broadcasting) and one Donor (individuals or foundations). The recipients will be recognized at the 2019 MAB Advocacy Conference and Annual Meeting, August 6 at the J.W. Marriott in Grand Rapids. 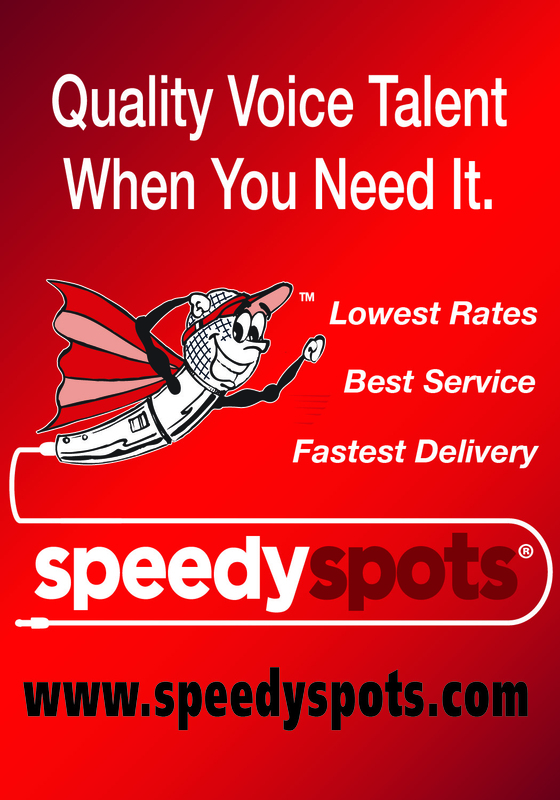 For more information on the awards (criteria, etc), click here. Deadline for nominations and supporting material (i.e. letters of support, photos and videos) is Wednesday, June 5, 2019. All supporting materials must be submitted at the same time the nomination form is submitted. 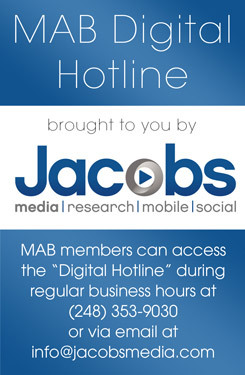 If you have any questions concerning the Public Media Impact Award program please contact Ann Walters via email at [email protected] or by phone at the MAB at (517) 484-7444. Congratulations are in order for WKAR Public Media. Recently, the Michigan Association of Broadcasters named WKAR Michigan Public Television Station of the Year and Public Radio Group One Station of the Year for 2018. Elkins provides updates on WKAR initiatives like WKAR Family, the Playtime Pad Research Project, and the development of ATSC 3.0 technology. “ATSC 3.0 is essentially a new television standard. The unique part about it is that it’s a hybrid, So it’s part IP, part broadcast, and is still disseminated one to many like a standard broadcast. What’s unique about it is it’s much more efficient with the spectrum. It has a much stronger mobile capacity. It’s just a stronger signal so it can get through walls and potentially people can view TV over their phones and in their cars or automated vehicles. It’s also just a much more beautiful picture with over 20 channels of audio. 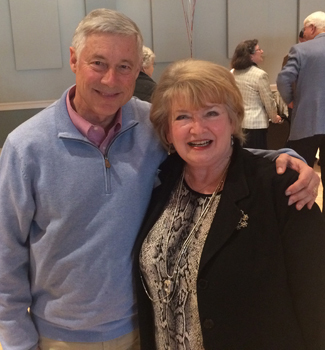 Elkins was recently named to the board of directors of America’s Public Television Stations. “One of the big challenges is really communicating the value of public broadcasting for the federal funding. 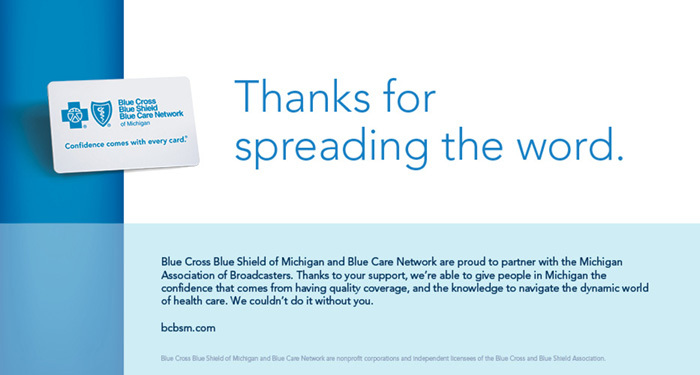 It’s not a challenge to communicate value, because the general public has said over and over and voted to say that we’re a trusted organization. The president’s budget is proposing zeroing out funding for the corporation for public broadcasting, and that federal funding piece is extremely important to the entire infrastructure for public broadcasting around the country. As technology continues to expand at a fast pace, people are consuming WKAR content through a variety of platforms beyond the traditional broadcast signal. “I just want to serve audiences when and where they are with what they need. The broadcast piece is extremely important to me and I think to our community members because it is free, over the year, and we’re reaching 98 percent of the population. 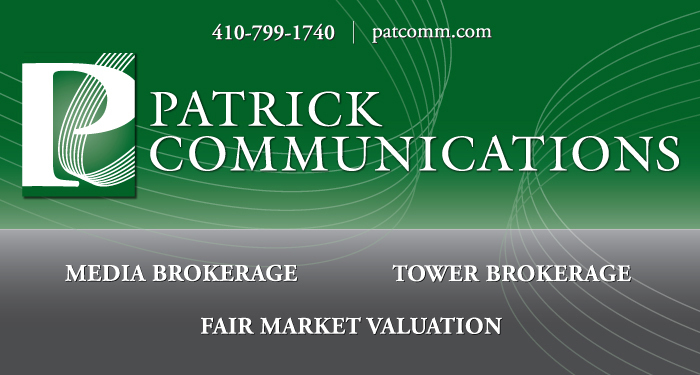 So regardless of your resources you can have access to important, informative, educational, and entertaining content. 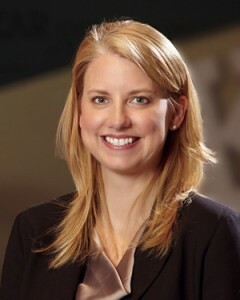 Elkins offers her advice to young people who want to get into this ever-changing and fast-paced world and says WKAR will remain busy and innovative in 2019. 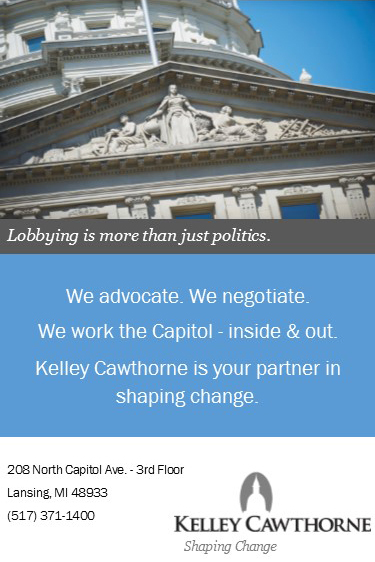 Four seasoned federal legislators – two Democrats and two Republicans – will co-chair the Public Broadcasting Caucus in the 116th Congress. Taking seats as co-chairs are Republicans Fred Upton (6th-MI) and John Yarmuth (3rd-KY) and Democrats Earl Blumenauer (3rd-OR) and Mark Amodei (2nd-NV). Rep. Upton chaired the House Energy & Commerce Committee for six years, while Rep. Yarmuth chairs the House Budget Committee. Rep. Amodei is a member of the House Appropriations Committee, and Rep. Blumenauer is a member of the House Ways & Means Committee and chairs its subcommittee on trade. Blumenauer founded the Congressional Public Broadcasting Caucus more than 20 years ago to bring his colleagues together in support of public media and the important services they provide. On March 18, President Trump on March 18 released his fiscal 2020 budget proposal, rescinding a large portion of funding for public broadcasting. “I am eager to work together with the new co-chairs of the Congressional Public Broadcasting Caucus to expand understanding in Congress of the vital role of public broadcasting in communities large and small,” Blumenauer said. WGVU Public Media (Grand Rapids) is hosting “Kids Day at the Air Zoo” this Sunday, March 24. The fundraiser for WGVU PBS Kids programming will allow families to visit the Kalamazoo Air Zoo Aerospace & Science Museum for a discounted price of just five dollars a person. PBS Kids character Daniel Tiger will be on hand along with performances by family favorites Benjammin, and Joe Reilly. See the event web page here for more information. 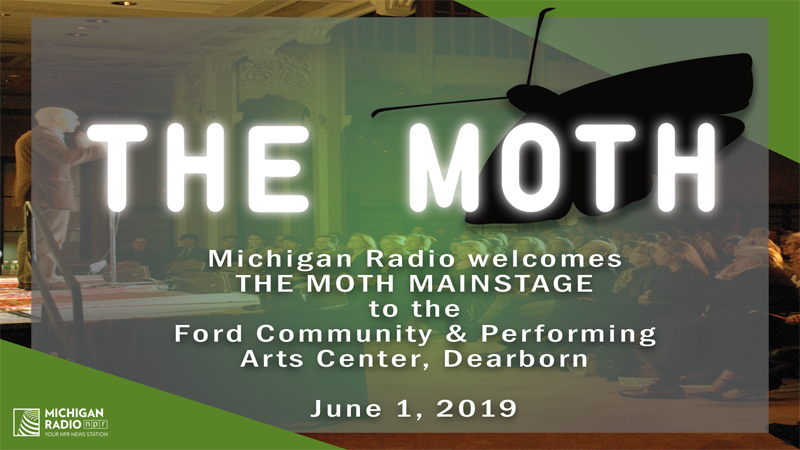 Michigan Radio and the Ford Community & Performing Arts Center will present a live performance of The Moth Mainstage at the Michael A. Guido Theater in Dearborn on Saturday, June 1, at 7:30 p.m. The Moth Mainstage features a line-up of writers, performers and other unique national and Michigan storytellers, each with a ten-minute story to tell live without notes. Tickets for this performance are currently on sale Friday at dearborntheater.com, in person at The Ford Community & Performing Arts Center, or by calling (313) 943-2354. Ticket prices: from $35.00, $39.00, $45.00 plus applicable fees. VIP Tickets with a post show meet and greet with the storytellers are $75.00. The Moth is an acclaimed not-for-profit organization dedicated to the art and craft of storytelling. The Moth currently hosts monthly open-mic storytelling competitions (StorySlams) in both Detroit and Ann Arbor. The Moth Mainstage is a curated event featuring a host and five hand-picked storytellers from across the country who develop and shape their stories with The Moth’s directors. 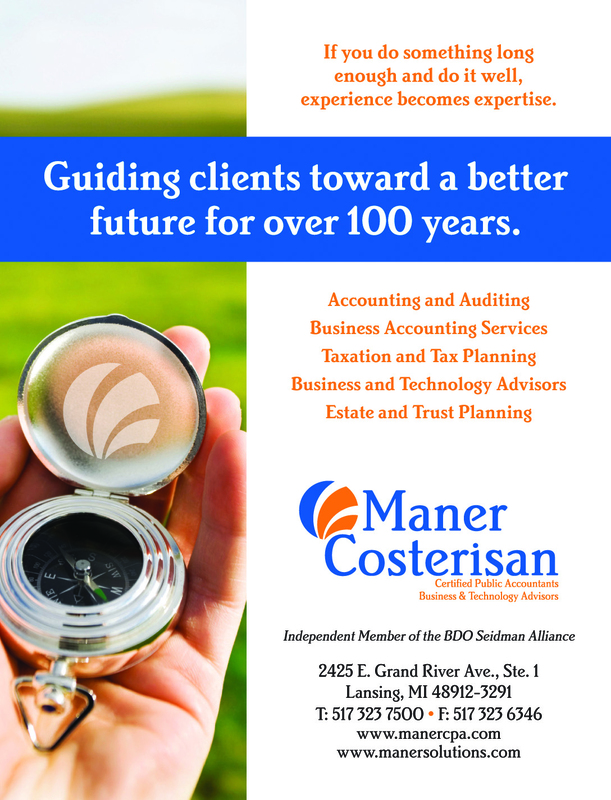 The annual show has been held in front of sell-out audiences in metro Detroit, East Lansing and Flint in years past, and makes its first appearance in Dearborn this June. The Moth Radio Hour debuted in 2009 and delights audiences on more than 400 public radio stations nationwide. The Moth Radio Hour can be heard on Michigan Radio each Saturday at 12:00 noon and Sunday at 2:00 p.m.
Take a step back to a place where stories are not shown on the screens of computers or phones, but breathed into existence by living storytellers. Join the Ford Community & Performing Arts Center and Michigan Radio for an event where entertainment and enlightenment merge through human experiences and live storytelling with The Moth! This week, WCMU Public Media hosted National Public Radio special correspondent Renee Montagne. She made an appearance in Midland at the Midland Center for the Arts on March 13 and in Traverse City at the Kirkbride Hall/Grand Traverse Commons on March 14. Both appearances were free and open to the public. 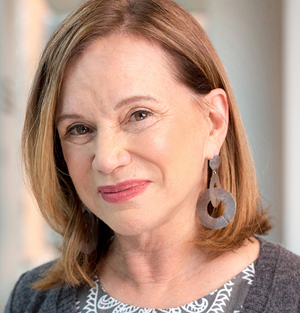 Montagne, who has earned many of journalism’s top honors, was host of NPR’s Morning Edition from 2004 to 2016. Today, her career with the network continues as a special correspondent. Montagne’s most recent assignment has been a yearlong collaboration with ProPublica reporter Nina Martin, investigating the alarming rate of maternal mortality in the U.S., as compared to other developed countries. The series has won every major award in American journalism, including a Peabody award, a George Polk Award and Harvard’s Goldsmith Prize for Investigative Journalism. The series was also named a finalist for a Pulitzer Prize. Believed, which was produced by Michigan Radio and NPR, dealt with the Larry Nassar sexual abuse scandal. Beyond the criminal case, it shared the important stories of the young women, athletes and survivors who were affected. 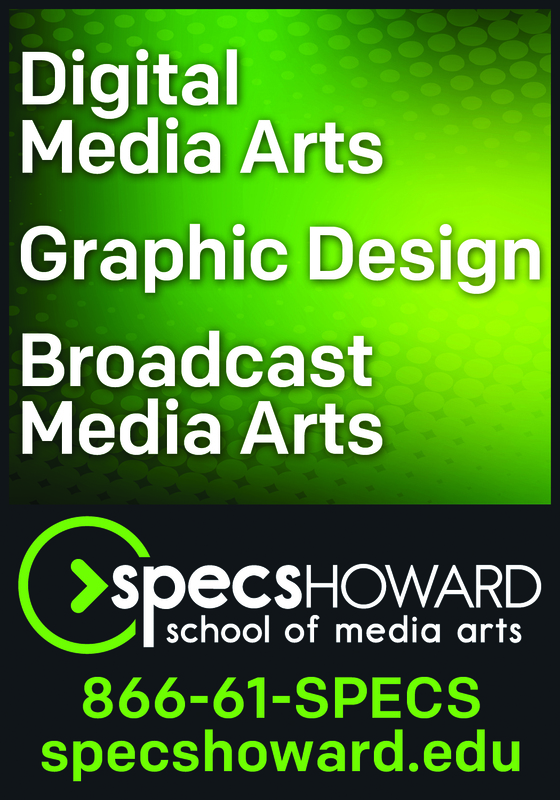 The Scripps Howard Awards are one of the nation’s most prestigious American journalism competitions. The awards honor work from television stations, networks, radio and podcasts, visual media, online media outlets, independent producers, newspapers and print publications. With a focus on high-impact reporting, the awards recognize journalism that spurs action, and news organizations that go the extra mile to expose previously undisclosed or misunderstood information. 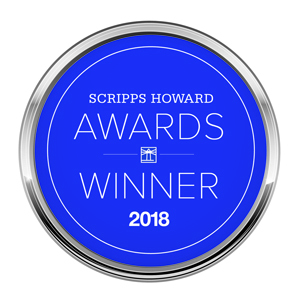 Other Scripps Howard Award winners this year include the BBC, Frontline-PBS, The Los Angeles Times, The Dallas Morning News and The New York Times/ProPublica. This is Michigan Radio’s second Scripps Howard Award. The station received a 2016 award for its ongoing coverage of the Flint water crisis. 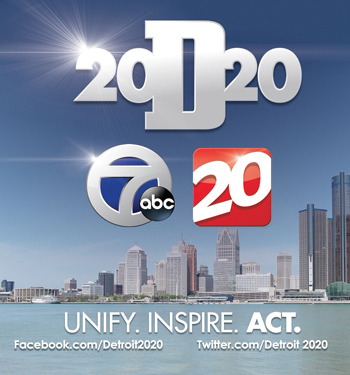 Michigan Radio’s Believed team will receive its award at a live show hosted by Michelle Miller, co-host of “CBS This Morning: Saturday” on April 18, 2019. 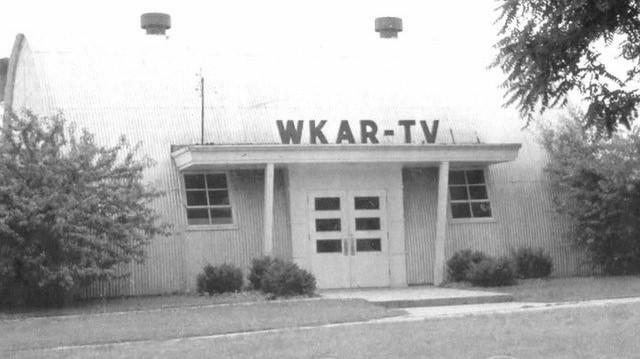 It’s been 65 years since WKAR-TV (East Lansing) went on the air as Michigan’s first non-commercial, or as it was known at the time, educational, television station. 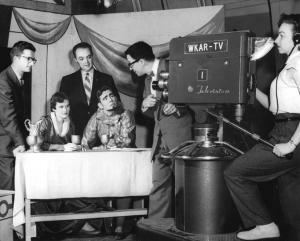 The January-February issue of Michigan History magazine includes a story about WKAR-TV’s earliest days. LARRY STONE: It was really a challenge for a number of reasons. They were round, they did not have a flat roof, and because of the roof we were very limited in what we could do as far as lighting was concerned. The floors were uneven as far as camera moves. That was before zoom lenses were prevalent and we had to dolly and truck cameras all over the place. They were hot in the summer and cold in the winter, a really major problem when it was raining. They were tin roofs. If it was raining the rain would make a lot of noise, and thunderstorms of course was out of the question in order to record anything or produce anything because of the shape of the huts themselves. SCOTT POHL: The station was initially called WMSB-TV. Some have said that stood for Watch Michigan State Broadcasting. Is that how you remember it? 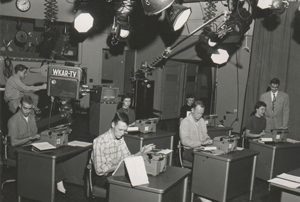 POHL: In researching this story, did you learn anything you hadn’t known before about WKAR-TV? STONE: A couple of things that I learned was WKAR was only the second ETV station on the air in the country, and the other thing that really stood out was the fine arts programming that we did with Dr. Don Pash. It received national attention, as did a special that we did for NET, National Educational Television, called “The Genetic Revolution.” It was a really early thing on genetics and how important they would be. POHL: Today, WKAR-TV has a 24-7 kids channel, but your story reflects how important children’s programming has been for a long time on WKAR-TV. STONE: We had in-school broadcasts for classes. I think there were over 60,000 students that participated in that all over central Michigan. There were a number of other shows that we produced locally that were very popular. One of them was “Land of Play” that was on and live every morning most mornings with Helen Shaw. Another popular thing was “Culver’s Club House,” which was a kids program where there was a peanut gallery, and kids would come in and they had quite a large membership of that too. I think there were over 6,000 kids that watched “Culver’s Club House” all the time. That was Jim Culver, another local person in the Lansing area.